Your resume should be a unique look at who you are, both as a person and a professional. However when the resume is too long or becomes disorganized, it’s not appealing to a hiring manager. Utilize these tips in order to give your resume the kind of depth you need it to have, while still keeping it concise. 1. Drill down to the core of your personal brand. Before you begin writing your resume, you want to think about your personal brand. Do you want to be known as a great researcher? An excellent teacher? An innovative marketer? Pick a message, and then make sure the rest of the resume supports this message effectively. The accomplishments you list should all relate back to your brand. This means there’s no need for mentions of high school swim team championships or work as a camp counselor, unless these items truly support and enhance your personal brand. Many people believe that it’s best to include as many items as possible on their resume, when in reality it’s best to include a lot of detail about the most recent and relevant work you’ve done, adding in additional items only if there’s space. Hiring managers want to know what you’re up to now and why it would make you qualified to do a good job for them. They’re not interested in how your summer as an ice cream scooper 15 years ago helped you learn responsibility. 3. Shorten the education section. Unless you’re going for a role in academia, chances are that you can shorten the academic section of your resume. Leave off your GPA and take out that you studied abroad. You really only need to include the school you attended and the degree that you obtained. While having hobbies listed on your resume does help to show your personality, these items also take up valuable space that could be illustrating recent successes you’ve experienced in the workplace. Yes, it’s great that you know sign language, but unless this would somehow be relevant in the job you’re applying for, it’s best to leave that line off in favor of something more applicable to the position you’re hoping to get. You can always include a mention of your sign language abilities in the cover letter. If you’ve been working with the same resume for years, it’s important to take a look at it with a critical eye. Is each line in the document effectively demonstrating to a hiring manager why and how you’d contribute to their office? If not, delete it. It’s better to have a shorter resume that drives the message home than a resume that goes on and on and fails to deliver a powerful punch. 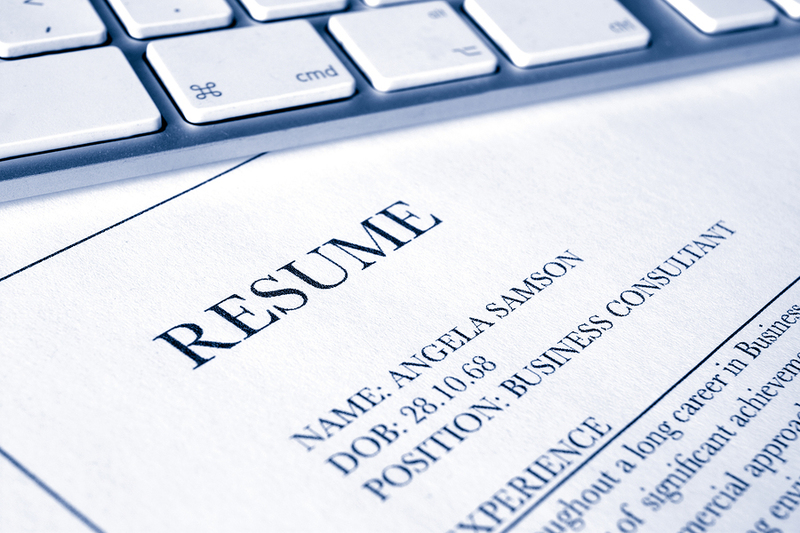 How do you add depth to your resume without adding length?